On behalf of the Centre for Computing History we created a "History of Video Games" TV wall that was fully interactive. 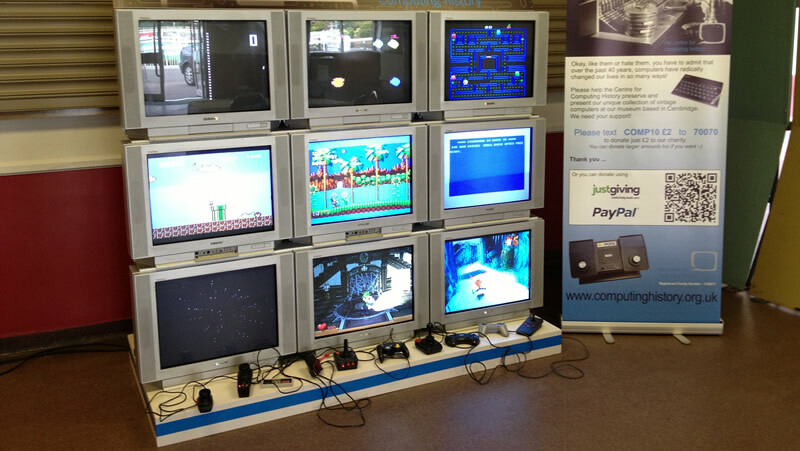 The video wall was used at the Revival Retro Gaming event in May 2013. 9 vintage video game consoles were connected to the 9 matching TV's and only the controllers were accessible for the general public to use. The games ranged from PONG to WipeOut on the Playstation 1 and everything in between. We could also use this set-up to playback video footage if required, views from live cameras, or even twitter feeds from the internet!